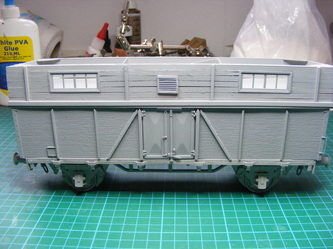 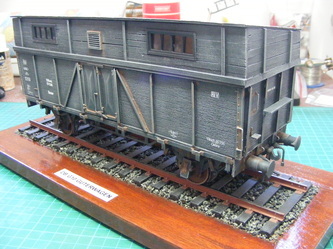 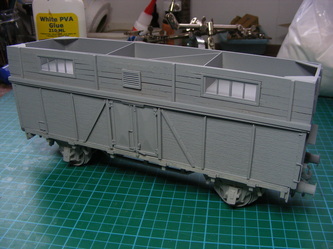 This chosen subject is a German Reichsbahn converted G10 wagen. 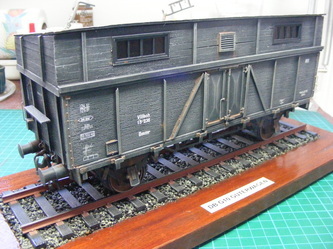 It's german freight wagon, that was used during WWll, and was converted to accommodate, in overhead bunks, personnel that were assigned to man the very large guns as they were transported to where they were needed most. 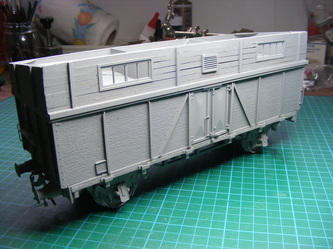 The first three pictures show it in undercoat colour, and the roof still needs to be made and fitted, together with the glazing. 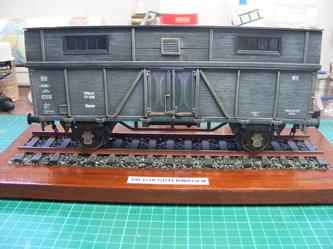 of TAS Armour, so thanks Ian, I very much enjoyed building this one!